Chico says the damndest things! "You get in free.. You get food!" 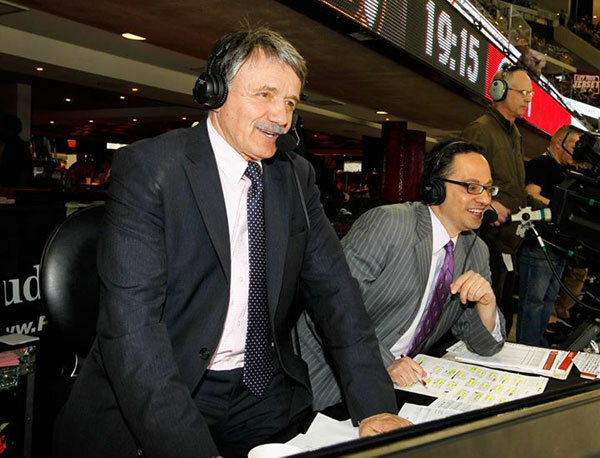 - Chico Resch on his career as colour commentator. "Looks like there's going to be a too many men on the ice penalty, or an illegal line change. Oh, my mistake, it's an icing call." "Owww, Doc. It caught'em right in the pants area." "That puck would have been in the net if it hadn't been saved." "If I wasn't talking, I wouldn't know what to say." "Hockey is the only job I know where you get paid to have a nap on the day of the game." "Hockey is not a sport - it's a disease." "The only thing I like more than a stack of pads is a stack of pancakes"
"Hubba Hubba! What a save by Brodeur with the big left mitt!" "No penalty. Oh good I got time to tell my story cuz it's a good one...No I don't, we're going to a commercial."